Dedicated to facilitating healing within community and with the sacred, Lara weaves group process, council practice, cross-cultural ritual, storytelling, poetry, and song to nurture creativity, deepen belonging, and cultivate resilience in these turbulent times. She is passionate about creating circles of beauty, meaning, and truth-telling, and believes that sacred grief work, earth-honoring ritual, ancestral reconnection, and the creative arts are pathways to restoring deep belonging, within ourselves, between each other, and with the more-than-human world. Lara has been working with grief, healing, and renewal in community for over a decade and has studied with Joanna Macy, Francis Weller, Michael Meade, and Marshall Rosenberg. 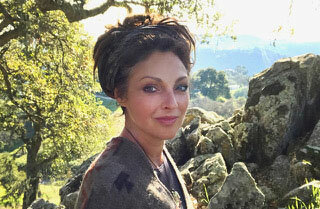 Alongside her community work she also offers one-on-one work including soul mentoring for following the wisdom of the deep self and reclaiming the unique gifts that are our ancestral birthright, grief companioning for navigating loss and life transitions, and professional mentoring to offer guidance in learning/refining group facilitation skills and sacred communal ritual practices.